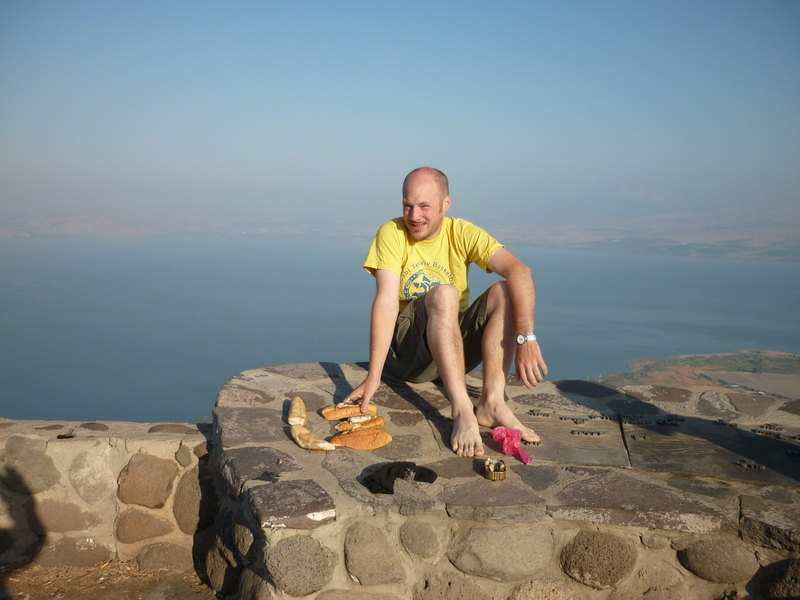 Back to continue the camping trip I did in the Galilee in May. 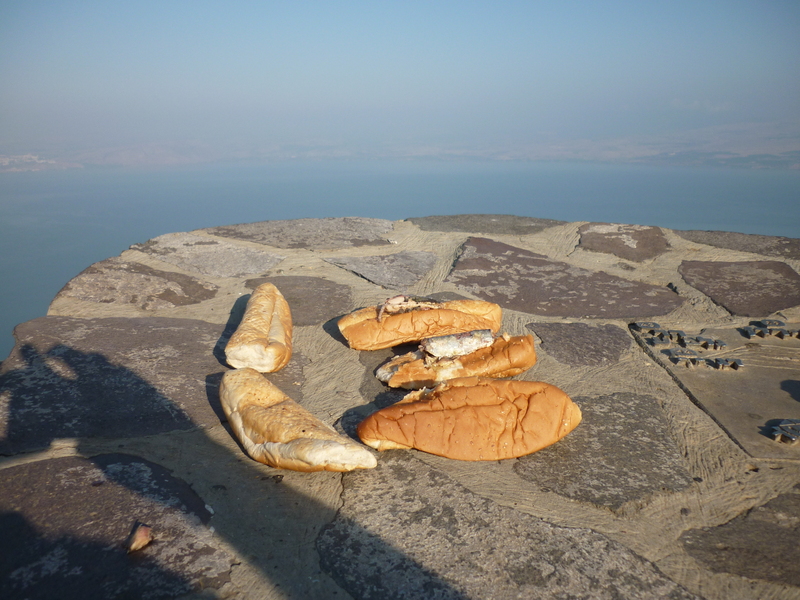 The towns surrounding this lake are where Jesus spent most of his ministry. With the aid of a few supplies we took on our expedition, I decided to do some photos to recreate some of the miracles the Lord did on this very place. 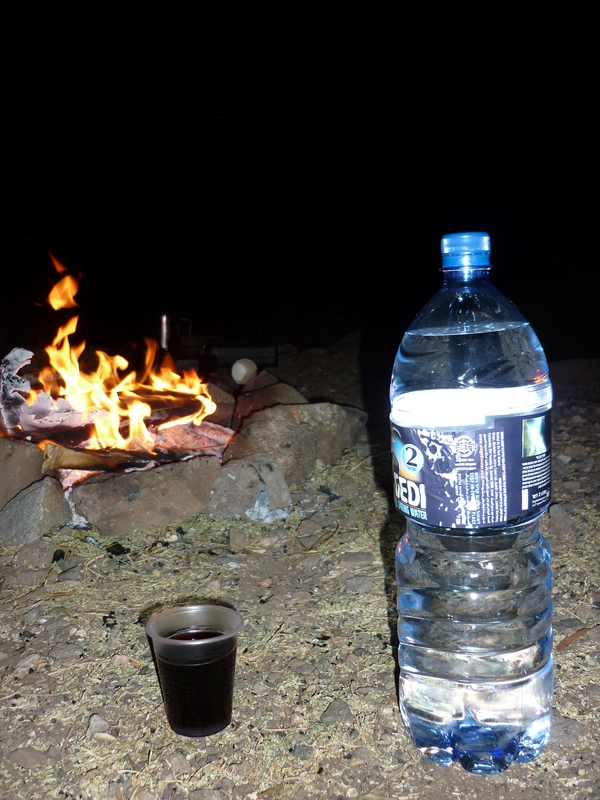 Water into Wine. As mentioned in John 2 : 9. Jesus did this at a wedding in Cana which is a town some distance away from the west side of the sea, although I am the east side. The sea and the coast can look quite foggy at times. The places where we camped has this amazing view, this wall is great to sit on and view until the sun goes down. Five loaves and two fishes. I have used some tinned pilchards, as I think using fresh fish in a car with 5 people and loaded with other stuff on a hot day would not be very a popular. The scriptures here mention this was done by Jesus in a place called Gennesaret on the north west of the sea. Check Matthew 14. 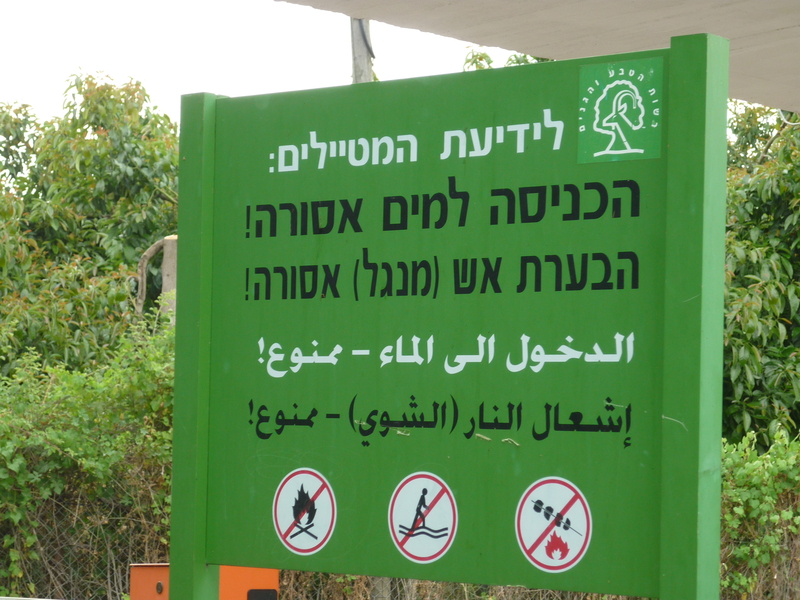 This sign is famous for its comedy value, I saw this is a park in a far up north part of Israel. Some of my friends said they had seen this in national parks in other parts of the country. The middle symbol looks like its saying ‘No walking on water’!